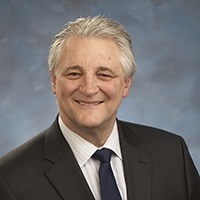 Robert Micone | Applied Financial Planning, Inc.
Robert E. Micone graduated from Rensselaer Polytechnic Institute in Troy, New York with a degree in Electrical Engineering and immediately began designing electronic products for the aerospace industry. After two years working in some developing technology areas, he moved to the computer industry and spent 18 years at Digital Equipment, General Electric and Hewlett Packard at various levels of sales, sales management, and marketing management, prior to founding his own consulting firm for the high technology industry in mid-1990. Along the way, Mr. Micone earned his MBA in Finance from Loyola in 1978 and added Business Plans, Market Studies, Investor Prospectuses and Equity Analysis to his list of accomplishments from 1990 to late 1993, Mr. Micone built a client base of 14 top financial firms, where his mission was to train management, sales people, representatives, agents, etc. in how to build portfolios in a volatile investing environment. His client list: IDS, (division of American Express); Pacific Mutual; Mass Mutual; Columbus Financial; CIGNA; Mutual of Omaha; Penn Financial and Manulife reads like a Who’s Who of the financial services industry. Mr. Micone helps companies and high-net-worth individuals decide where to put money for maximum returns and seeks to minimize the risk of investing. As a Financial Consultant, Investment Advisor Representative, and Registered Principal with LPL Financial, he has presented seminars on low risk investing and capital preservation. For more information, please call (866) SEEK-COUNSEL.